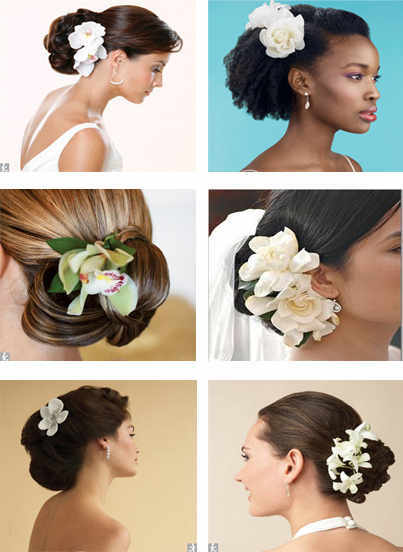 Hair Flowers - for a very romantic and classic look. 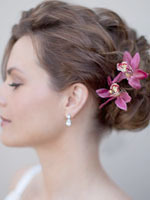 A really nice look for warm weather weddings is a hairstyle adorned with fresh flowers. 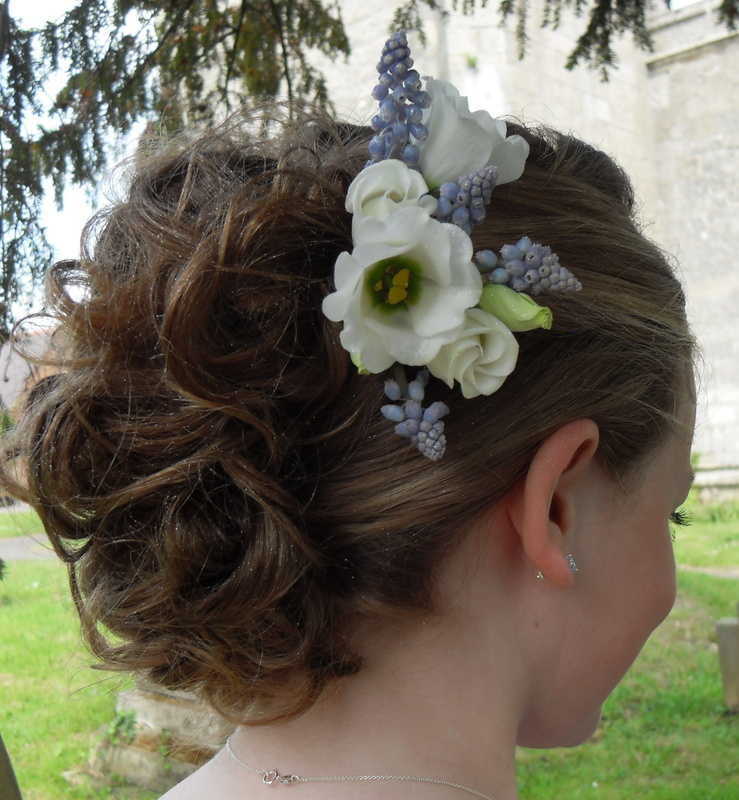 Not only does the perfume of the flowers add to the whole romance of the day, but flowers placed strategically in the hair and matched with the wedding colours add a fabulous finishing touch detail to the whole affair. 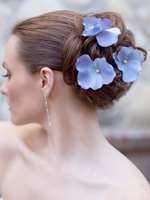 A really great idea is to coordinate the hair flowers to be in sync with the bridal bouquet. How pretty would it be to have a bouquet of purple roses, for example, and then have miniature purple roses incorporated into a fabulous updo style?